The Ikibu casino was launched in the fall of 2016 and joins the line of casinos that will attract players with extra game incentives beyond the slot machines. It is a pure slot machine casino with several hundred different games in the stable. Here, however, you are also taken on a journey to a deserted island called Ikibu that you explore by spinning on slot machines. At Ikibu there are wild creatures and an indigenous people called Ikier that you will encounter while playing. During the journey, you collect seeds that you can use to buy free spins and other benefits for free, and Ikibu offers a small adventure in addition to the usual casino experience. Similar story-based casinos like CasinoHeroes has become very popular and it is no surprise that more people are trying the same. The company that has developed Ikibu is Swedish, and like most other Scandinavian online casinos, it is licensed and approved by the Lottery Authority in Malta. All bonuses must be used within thirty days of activation. They can only be used on slot machines and not in the live casino. It is also advisable to familiarize yourself with which slot machines do not count on the wagering requirement. You can find all the terms for bonuses and free spins in the menu at the bottom of the casino's website. 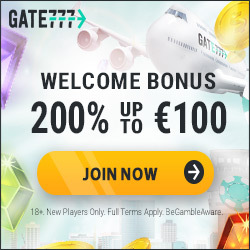 The bonus gives you a great opportunity to play with extra money, and who knows, you might hit a big jackpot with the bonus! Ikibu offers a special welcome bonus on first and second deposits. 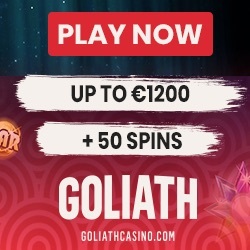 The casino specialists have renegotiated the casino offer, and now you get twice as much to play and win for, only with us! 100% bonus up to NOK 2000 on the first deposit: That means that if you deposit NOK 2000, you will get 2 thousand NOK extra to play for. On second deposit you get a 50% bonus up to NOK 2000: If you deposit NOK 2,000, you will get a thousand dollars extra to play for. The wagering requirement is 45 and you must deposit at least 200 kroner to get the bonus. In addition to the bonus, you also get 2500 seeds you can use in the Ikibu store to buy free spins. Ikibu has many ongoing promotions and offers for its players. Ikibu Races is a regular campaign that runs all the time, earning seeds that can be used to buy bonuses / Freespins and other things. Through your journey on Ikibu Island, you will collect what they call for seeds by playing on the machines. As we wrote, you can use these points / seeds to buy free spins and other gaming incentives in the store. Ikibu will also run timed bonuses and promotions, which you will also find in the store.